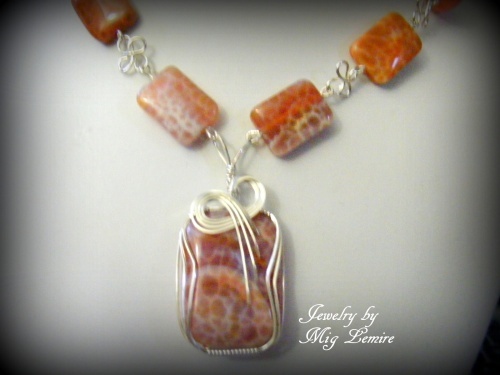 This pretty Fire Agate focal gemstone is accented with pretty sterling silver curls and necklace part has rectangle fire agate gemstones but also accented with cherry quartz beads to give it more character. Links of sterling silver clover like designs are incorporated in the neck chain. Complimentary matching earrings included. Piece measures 18" long.